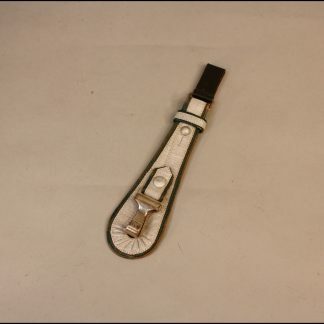 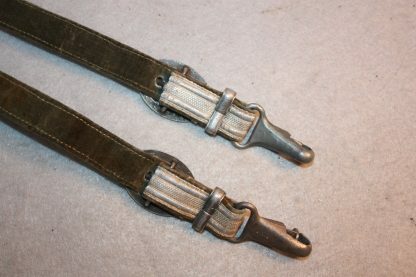 Army Hangers – Military Collectibles, Inc. 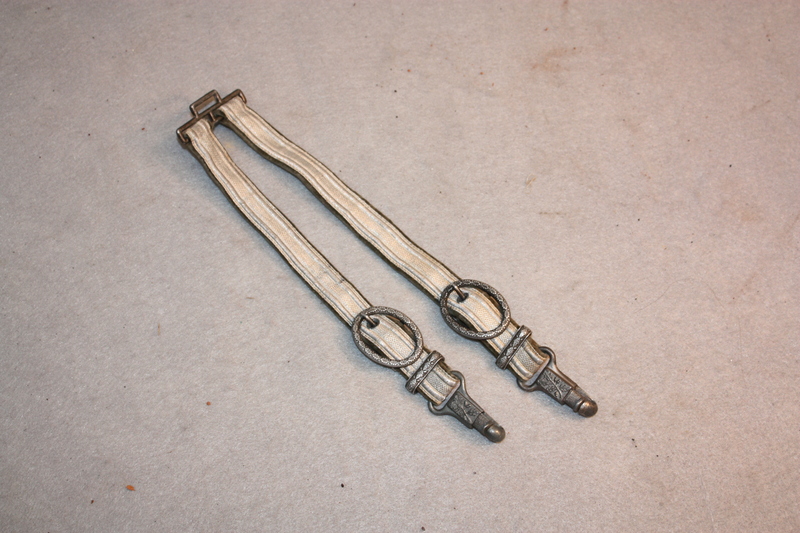 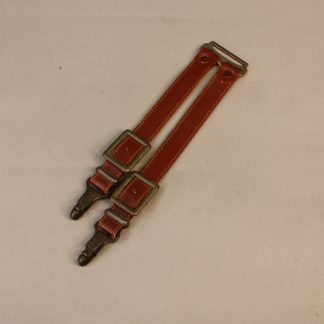 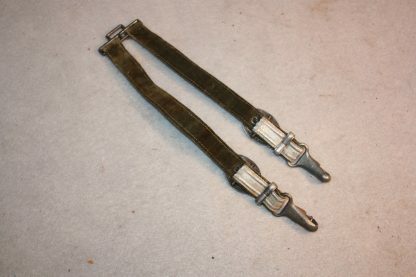 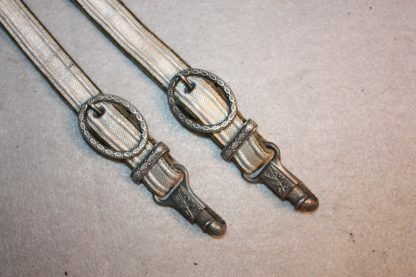 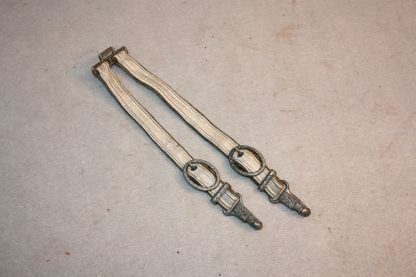 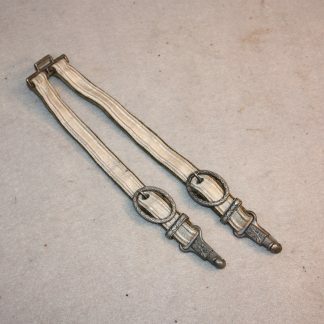 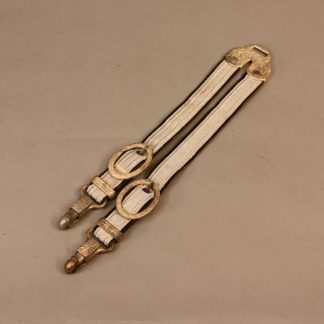 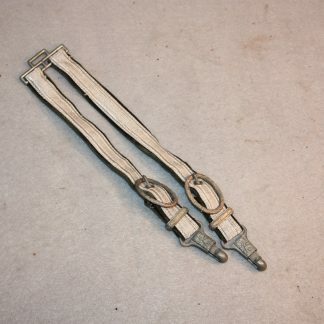 Very nice pair of Army hangers with deluxe clip and nice silvering to the buckles. Slight wear to the green backing, but nothing detracting. 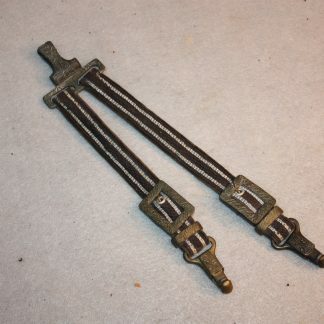 would look great with a mid war Army dagger.